Banking on the Dreamhouse are National Finalists! 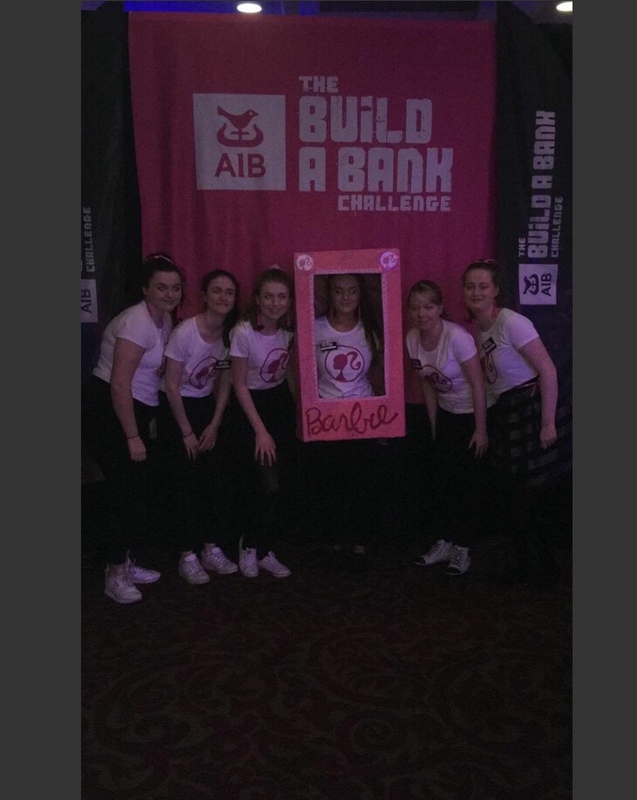 We are excited to announce that our school bank – Banking on the Dreamhouse – has made it through to the National Final of the AIB Build a Bank Challenge which take place on March 21st in the RDS. We will be continuing to open our bank every Friday make sure to stop by and offer your support. Keep an eye on our noticeboard and social media accounts (Facebook, Instagram and Snapchat) for news and updates. Remember, with our bank you can be anything, just like Barbie! Snapchat: Coming soon…. check noticeboard & Instagram!